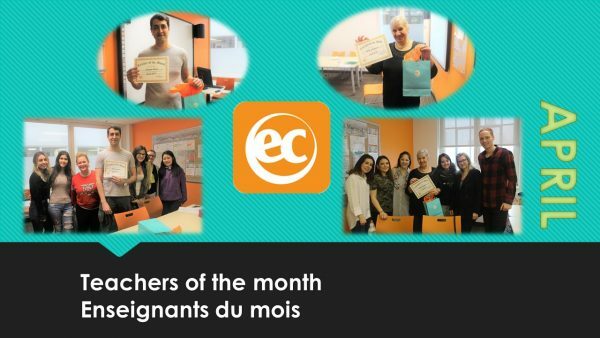 EC Montreal April Teachers of the Month! 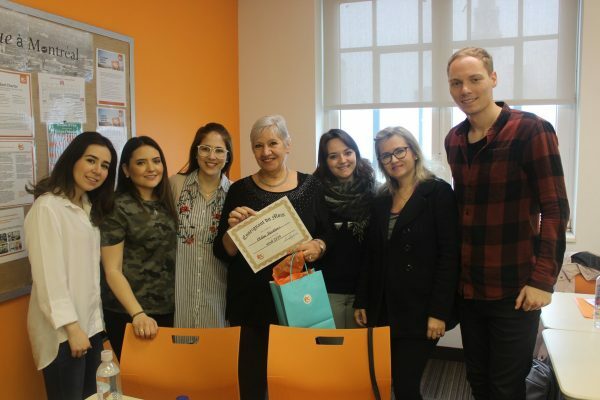 Today at EC Montreal we surprised our April teachers of the month! Every month, our students have a chance to vote for their favorite teacher. We ask our team of student ambassadors to help us distribute the ballots. The ballots have 2 simple questions; who was your favorite teacher? why? The why question is very important to us because we are able to collect a lot of wonderful feedback from our students about our teachers. It is always so rewarding to see so many comments about our team of instructors. We take the time to type up all the comments and display them in the teacher’s lounge. This way, they can see how very much appreciated they are. This positive reinforcement truly creates a “feel good” atmosphere at the school and contributes to their motivation to teach! 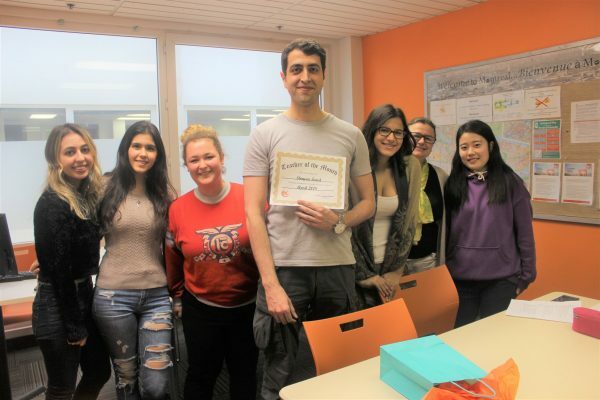 This month our EC Montreal students voted for Shayan for the English department and Clelia for French. This is Clelia’s first win in 2018! We are so happy for her! This is Shayan’s second consecutive win! Our students have spoken and have told us how wonderful our teachers are! First we surprised Shayan! We presented him with a Teacher of the Month certificate as well as a small gift. His students cheered and posed proudly with him for a picture! Next, we surprised Clelia. She was delighted to hear this news and held up her certificate with great joy and enthusiasm! She’s nice and a very good teacher. Elle est une très bonne professeure. He always has something new to teach us and he is very good at explaining. He is really clear at explaining everything and his charisma encourages us to keep studying. She is a very good teacher and she is interested in her students. He is the best teacher with great classes. I like her teaching method. He is fun and a good teacher. It is very easy to understand her. She has good teaching skills and is a nice person. He is the best teacher at EC! He is very nice with us. He creates great activities. He’s a great teacher and a great person! She is nice and offers exciting activities. He is professional and not boring. He is very dedicated and helpful. He is a good teacher and friendly. She knows how to explain things in class and is super dynamic. Her lessons are very useful. She is really cute and a really good teacher. He is so friendly and “calidoso”.